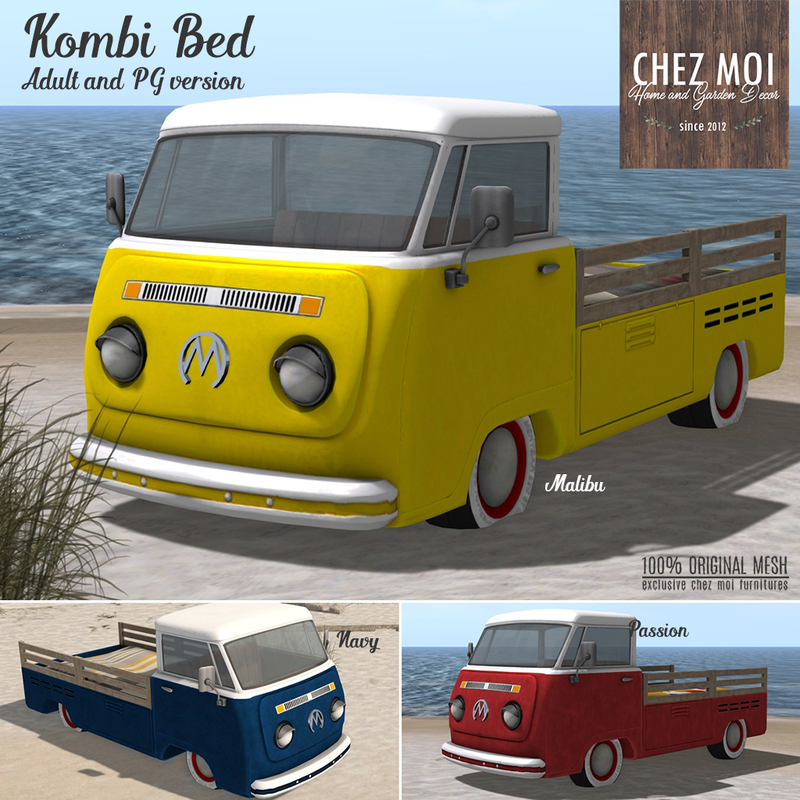 If you want to add a unique feature to your beach, garden or party setting, the Kombi Bed is a perfect fit! Fully interactive in a hippie-vintage style, you will spend a delightful time with your friends and guests. 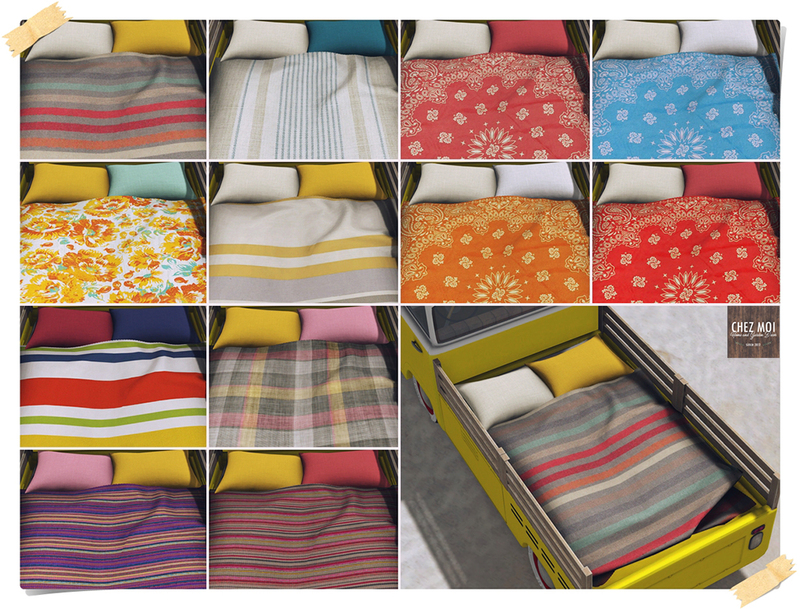 Texture change option: Touch the blanket and pillows to display the color/texture menu. 12 options. Available for sale in 3 colors: Yellow (Malibu), Blue (Navy), Red (Passion) – PG and Adult version each.